Learn how 3D printing can be used for production of custom, low-volume, or geometrically complex end-use parts. Get a line up faster without dipping into machine shop resources. Leverage accessible customization to increase line efficiency. 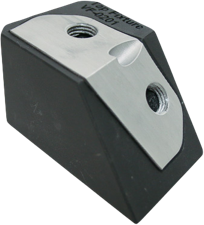 Reduce downtime by easily replacing parts. 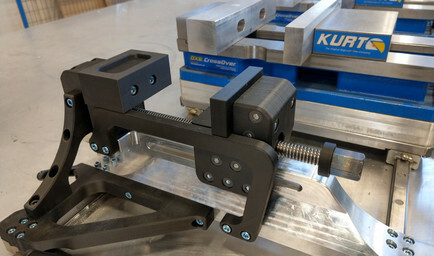 Lean machine uses its Mark 2 3D printer to create a low-profile, custom vise to optimize production in their fab shop. This stage in manufacturing involves turning raw materials into final parts. Production costs can influence the bottom line more than any other expense in the manufacturing cycle. Whether carried out by humans or by automated systems, inefficiencies and downtimes in a production line drain money; companies rapidly lose cash every second that a factory isn’t producing parts. 3D printers increase line efficiency and mitigate expensive blips in production. High-strength composites are tough enough to replace machined aluminum, providing opportunities to decrease weight without sacrificing function. 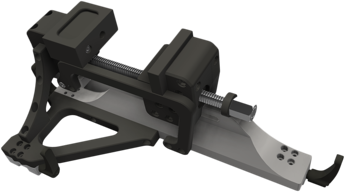 Printing parts bypasses CAM and involves fewer hours of skilled labor than traditional methods, allowing for rapid, inexpensive fabrication of fixturing, brackets, and jigs. 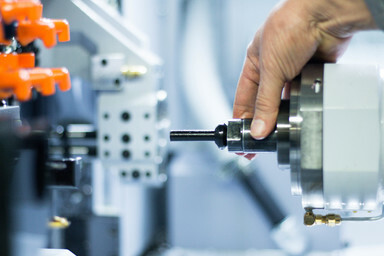 It also enables customization at a lower cost, allowing you to optimize your manufacturing line with less startup costs. 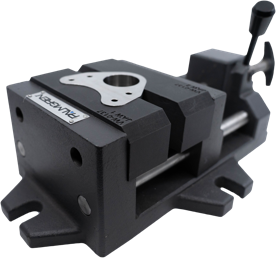 Finally, replacement parts can be printed without stressing machine shop bandwidth, keeping your production line running at maximum efficiency.